Meet Susan Stoke who managed to take the Secretary PA Diploma and move from being an English Teacher in Portugal to become a Team Secretary. An overview of the requirements to become a Project Assistant. This interview with Sarah Clarke is a great career story. Sarah was a teacher who needed to alter her career. 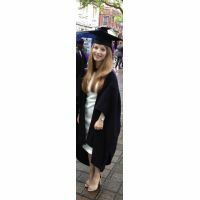 She took our Executive PA Diploma and managed to find a great PA Job in a prestigious Oil and Gas Company. 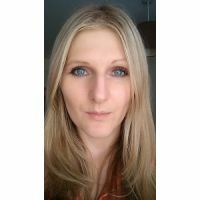 Kate undertook a course with SOUTERS back in 2010 which enormously helped her to get a job at University College London, where she still is. She has just learned that she has been successful in her interview for more senior role at UCL. So she decided to tell fellow Souters students about her career path and the massive impact on her job option due to the Souters Secretary PA Diploma. 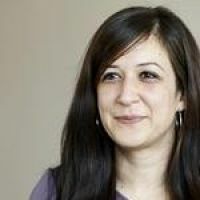 Profile of one of our Business Skills and Executive PA trainers. We are currently recruiting for an internship in a dynamic and growing global consulting firm with UK office located in London. Team Assistant /Office Assistant role at Mirpuri Bespoke. A CV Workshop will be run by agents from Tiger Recruitment. This will be hosted at Souters and is open to all of our students, past and present. Attendance is free of charge. Meet Suzanne Hunt. Suzanne was working as an Events Organiser and decided that she needed a change. 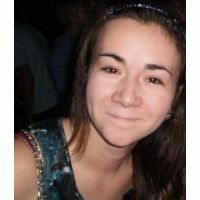 Suzanne researched the job market well and decided that she should aim for a Senior PA or Executive PA. This is becuase the nature of the job being interesting and the jobs being stable and well paid. 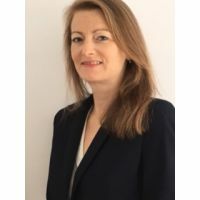 Immediately after completing a Legal Secretary course at Souters, Karen is now a Legal Secretary.Following redundancy, Karen Siggs decided on a career move into the legal field. With her re-training budget, she enrolled on a CPD accredited Legal Secretary course with Souters. This was the natural follow-on from being a PA to the MD of an accountancy firm. How Can I Become a PA? 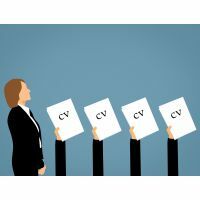 Finding a PA Job is not an easy task as you need a wide range of skills and experience to be an effective PA. Therefore, we are giving you a brief guide of what you should be aiming to gain to become a PA. Prior to your Souters Course what was your employment situation? 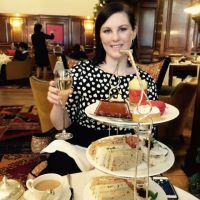 I had just arrived in London after having decided to undergo a career change from being in the Beauty industry to wanting a more ‘serious’ role. I started by registering with agencies and doing as much temping assignments as I could to gain experience and references. Receptionist Job at London School. Apply now. 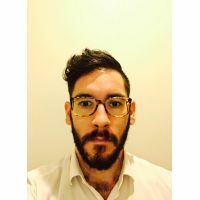 Tommy took the Executive PA Diploma with Souters and as a direct result of taking the course was promoted from a filing administrator to a Legal PA. Here is his story. We hope this will give some inspiration for those looking to start a course. Prior to your Souter's course what was your employment situation? I had recently graduated from University with a BA (Hons) Applied Languages (French and German). I had some PA and Administrative experience which I acquired whilst studying. What is your Job now that you have finished the course? Why did you decide to take a Souters Course? 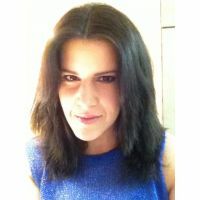 Cristina kyriakides managed to get a new job and develop her career whilst still completing her Souters Secretary PA Course. Prior to you Souters Course what was your employment situation? I was a Receptionist and I took the Souters Course to improve my job options. Kensington Park School is seeking to appoint a dynamic, hardworking and efficient Personal Assistant to take on this challenging but rewarding role in the school’s stunning West London location on Queen’s Gate, overlooking London’s iconic Natural History Museum. The Duke of Edinburgh Award is a popular award for young people, aged 14 to 24 to develop themselves and the development of new skills is important. The Duke of Edinburgh Award has a wide variety of skills and activities that are covered. What courses did you complete at Souters? What did you enjoy about the courses? Event Management is a growing industry and it offers a wide range of jobs across the UK. 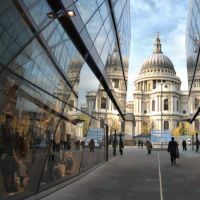 However, the majority of the jobs are in the London area due to large events, exhibitions, conferences and cultural events taking place around the UK capital. Congratulations to all of our June students. Those of you taking exams this week, we wish you luck and all the best for your future careers. Here are some photos that were taken by some of the students this month. 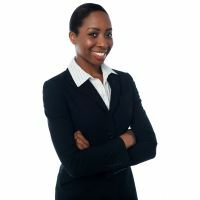 Team Leaders are responsible for providing secretarial support to one (in exceptional cases, two) senior lawyer within a practice area as well as supervision of a team of Executive Assistants (EAs) and Team Assistants (TAs), ensuring lawyers receive a professional, efficient and excellent level of support. Team Leaders will lead by example and will promote quality output, continual improvement, efficiency and team working. Team Leaders work closely with the Group Head and report directly to the Senior Secretarial Manager (SSM). The CPD is a Professional Body recognised by numerous professional bodies including the Law Society, Accountant professional bodies and many more professional institute for accrediting professional's courses that will greatly improve the career skills of the delegates who attend the courses. 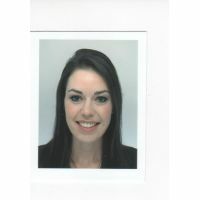 Meet a CILEx Legal Secretary Course student who successfuly secured a great job and career after completing her course in London. Valerie Zen Ruffinen came to take the Executive PA Diploma at Souters. 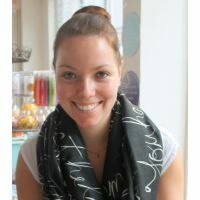 She is based in Berne, in Switzerland and successfully completed her Souters Diploma. 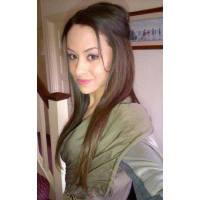 Please read about her story and how she has found the courses. Students on longer-term courses with Souters are able to attain numerous discounts with NUS Extra Cards. Souters has joined the NUS, which enables our students to gain NUS Extra Cards. The NUS Extra Cards enable our students to gain discounts at a range of companies in all sectors. Gyms, Hotels, Travel, Restaurants, Supermarkets, Shopping, Takeaways, Clothes Shops, Entertainment etc. are all offering excellent discounts to NUS Extra Card Holders. Justina Barratt came to Souters and opted to take the Administration Diploma, following redundancy. She successfully completed the course and was able to get a new job as an Office Administrator within a couple of weeks of completing her course. Before taking the Administration Diploma what was your employment situation? I was unemployed due to a redundancy. What is your current job, now? NHS Administrator, I got the job straight after the course. Souters Bookkeeping and Finance Training has had a great year in 2014. We have commenced training students in the ICB qualification. This is the Institute of Certified Bookkeepers, which is an international bookkeeping accrediting body. 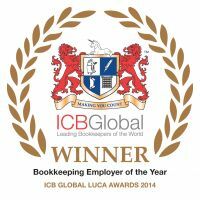 The staff of one of our corporate clients have taken both Paper B1 and Paper B2 of the ICB Level II Manual Bookkeeping. Our students performed so well that they have managed to attain a 100% pass rate in both papers, out of a class of 17. This high academic achievement was recognised at the LUCA Awards, which were held at the BAFTA Theatre in Central London. If you are currently on Job Seekers’ Allowance(JSA), you can greatly enhance your employability from Souters’ courses. Select a course which suits you and then explain to your JCP advisor how this will help you get a job. Our courses are designed by experienced professionals, who have colluded with employers to create a truly job focused range of courses. Not all advisors will know how to access this training, so you can mention that the Procserve Supplier Portal will provide access to our courses (some know this as the Zanzibar system). Sharon took our Executive PA Diploma and successfully made a career change to become the Executive Assistant to the CEO at Aviva PLC. Before coming to Souters I had worked in the fashion industry for a few years, most recently engaged in projects. I took the PA/Secretary Diploma (run on Saturdays). I am the Deputy Year Leader (Sixth Form) at a successful local secondary school. The role is a secretarial role including the pastoral care of 300 students in year group. I am the first point of contact for student/parent enquiries. Why did you decide to take the course at Souters? I have been with the school for 10 years and it's time for a new direction as I no longer need the school holidays. Ligia was able to change career and get a well-paying job after completing her PA / Secretary Diploma with Souters. She went from not being invited to interviews, to getting 2 job offers in a short space of time. What was your job prior to taking the course? Since taking the course what is your job now? Why did you decide on course? It has given me the knowledge and confidence to carry out my high profile PA role. There have, however, been many challenging moments and I have quite often referred back to the course notes to refresh and remind myself how best to deal with a certain task and that I can do it! What do you advise to anyone who is considering taking the course? Go for it! You have nothing to lose and everything to gain! What are your future aspirations in your career? The students varied from those looking for a career change, to experienced PAs looking to develop their careers through to international students. 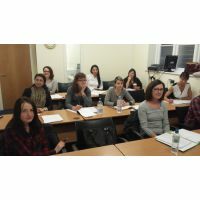 This course has been tried and tested as a great way to launch you career as a PA. Look at the links below from some excellent stories of success on this course programme. All of our courses are delivered in a classroom format by Chartered Accountants. This format ensures that you gain the highest level of expertise in your training. 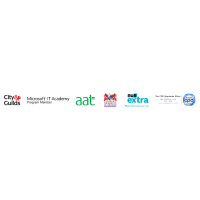 The AAT is a preferred qualification for many recruitment agencies and employers, therefore, it is a great qualification to get in order to boost your career potential. Corporate employees have booked onto our range of Bookkeeping and Finance courses, for many years. Now the full range of AAT courses are available to all of our Corporate clients. So if you want to improve the financial and accounting skills of employees, Souters can now offer a range of AAT courses. Click here PA Course to find out more about Souters Courses for PAs. The CPD is also known as Continuing Professional Development. This form of accredited training is required by many professional bodies for Solicitors, Barristers, Accountants and much more. This means that not only are CPD Courses well respected and known across the globe, but they are often required for certain industries. This means that the value of a CPD accredited course on your CV is likely to benefit your job prospects. All of our Courses are CPD Accredited, which includes any bespoke training packages. This reflects the high level of quality in our training courses. The CPD polices courses and ensures that they genuinely develop career skills and help people to progress their careers. All of these courses are available with a live tutor in scheduled classes in London. However, you may prefer to take these courses by distance. This is the most recognised and popular routes to becoming a Bookkeeper and you can train with us to become a fully qualified financial professional. Our trainers are all experienced tutors and have gained substantial experience as financial professionals. Jennie came onto the AAT Level 1 Award in Bookkeeping in order to gain an exposure to Financial terminologies and knowledge of how accounts work. International Recruitment consultancy, GR International, is hosting a CV workshop at Souters. Diane Picandet from GR International will provide a seminar at Souters. This will take place on Monday 29th April from 6:15pm to 7:45pm. GR International and Souters delivered their first CV, Careers Advice and Job Searching Workshop. The Secretary PA Course was at full attendance this month. Souters is a supplier of training to Jobcentres. This means that it is possible for people on Jobcentres allowance to apply for assistance from their Jobcentre advisors. Sara took out Secretary PA Diploma to strengthen her skills as a PA and improve her career prospects. Why you should opt to purchase our Mock Exams prior to taking the MOS Certiport Exams. Elena took our Mock Exams and was able to pass the 2010 MOS Certiport Exams. 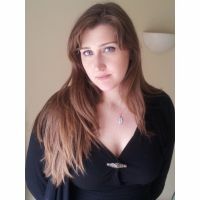 Souters has a new working relationship with a leading London Recruitment Agent, Angela Mortimer. This will provide our students with fantastic career opportunities. 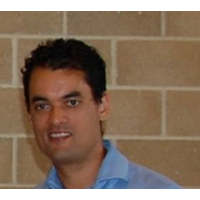 Darryl, an experienced tutor at Souters, held a masterclass on Business Letter Writing.